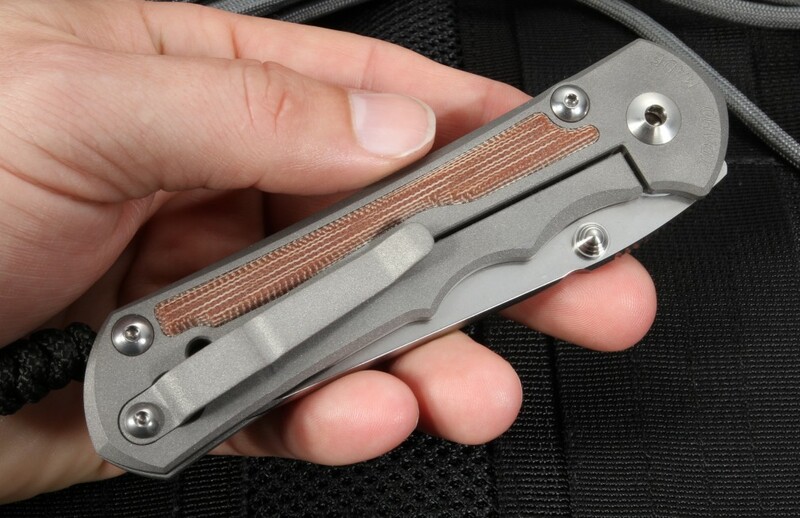 Award winning and American made the Chris Reeve Inkosi Insingo folding knife crafted with inlays of raised natural canvas micarta on the handle of two 6Al4V alloy titanium slabs blasted in a matte gray finish for an enhanced thick grip on a field ready full-size folding knife. 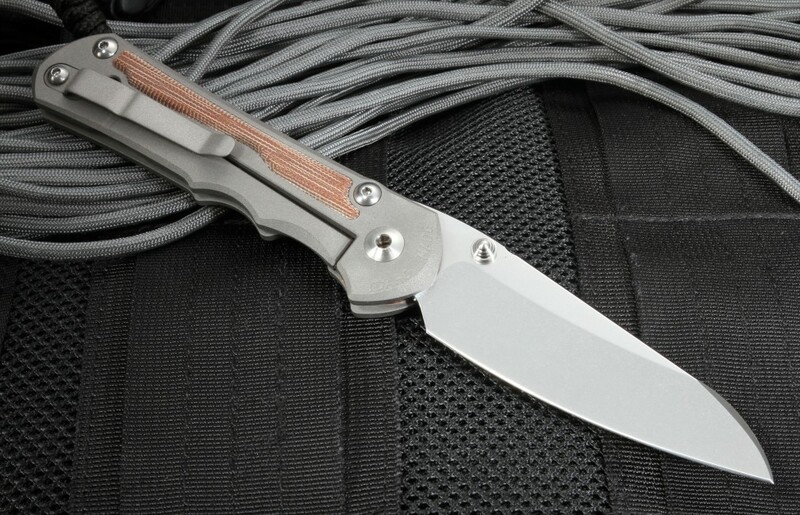 This version of the knife features the modified wharncliff blade shape that CRK calls their insingo blade. 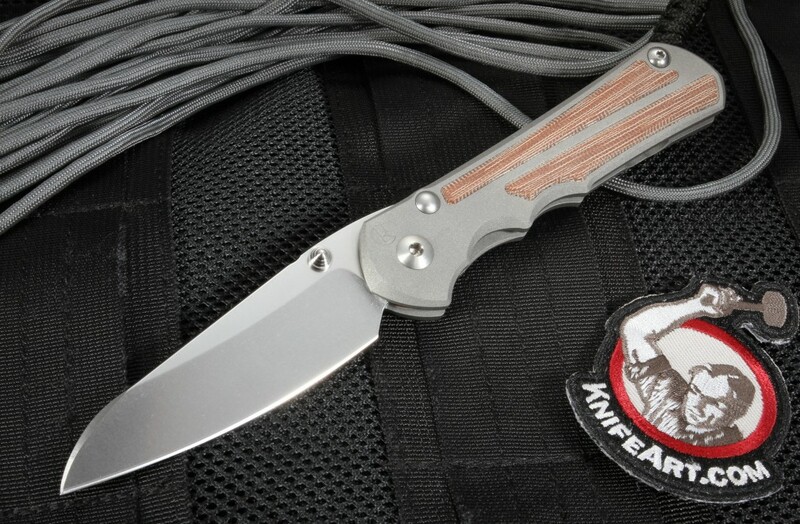 For over twenty-five years the Sebenza lines of knives was the choice of hunters, armed forces, law enforcement and blade collectors as one of the finest made knives in the U.S.A. 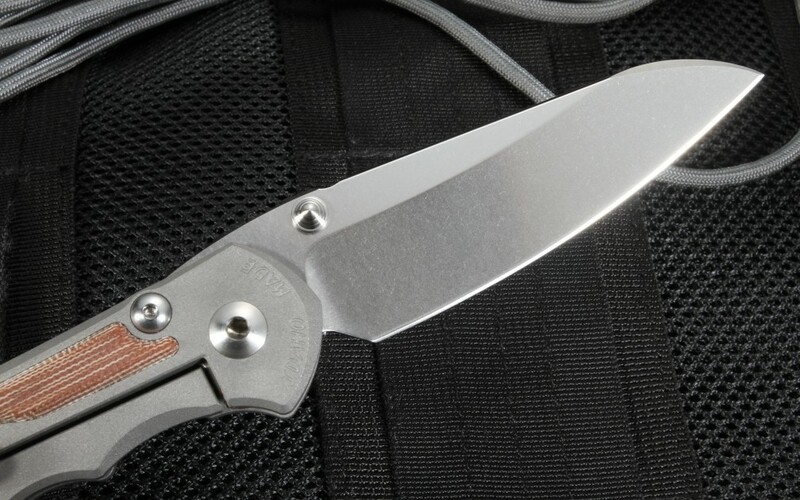 In 2016 Reeve developed the Inkosi as the successor to the Sebenza 25 knife model, Inkosi means 'The Chief' in Zulu and represents the best of Chris Reeves knives manufacturing tradition. 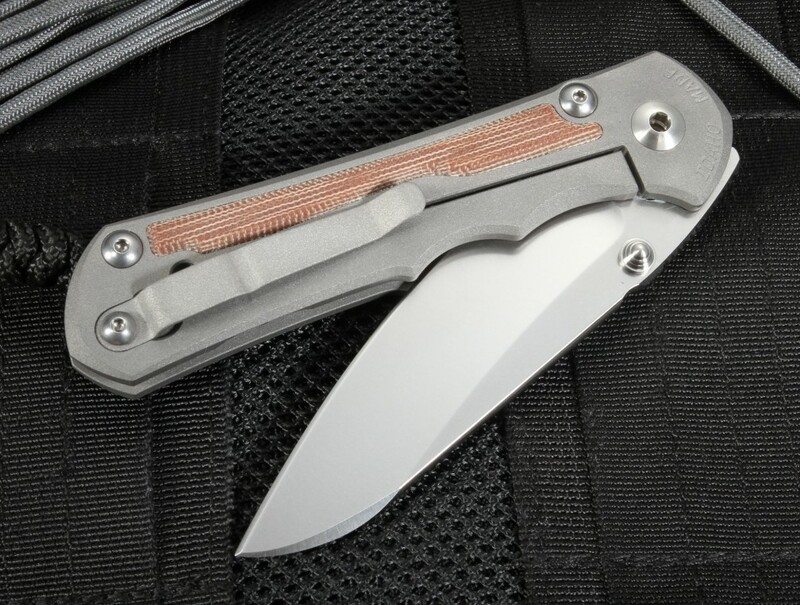 Tough and durable this large Inkosi folding knife comes with an insingo blade of American-made S35VN crucible particle metal stainless steel and deployed using ambidextrous dual titanium thumb lugs. The 3.625" long blade has a clean stone washed blade finish that is heat-treated to an RC of 59-60 for outstanding edge retention. Complete with a strong robust stop pin, twin over-sized phosphor bronze perforated bushings of the bank vault lockup that CRK is known for. With a one-eighth inch ceramic ball acting as the interface between the lock bar and the blade that doubles to drop into the detent, ensuring the blade stays in place when closed. A pocket clip is better positioned to rest away from the lock bar for easy carry and use. With a perfect open size of 8.335" and closed size of 4.8" the large Inkosi Insingo knife is perfect for large and small tasks, camp chores and tactical duty. 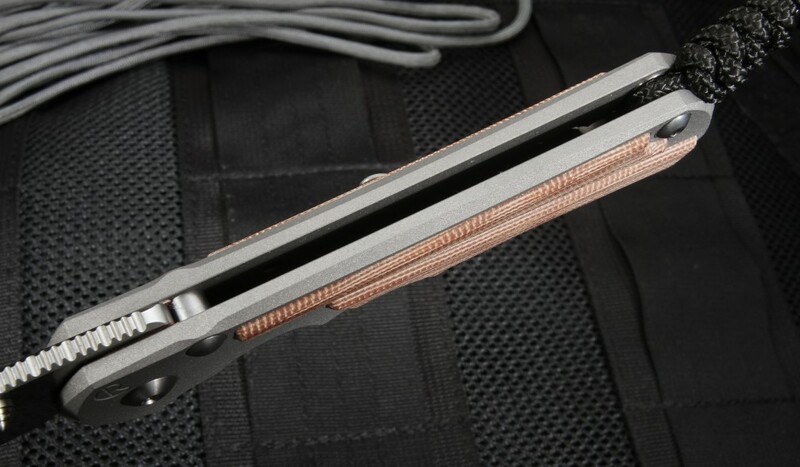 Easy to carry, strong and sharp this knife is a great addition to hunting gear, backpacks and bug-out bags. A lifetime warranty backs the masterful workmanship and highest quality materials making this brand one of America's favorites. Yes, this knife will cut an apple and open envelopes easily, but it's up to far tougher tasks than those. Its incredible built quality is evident the moment it's in your hand, even if it's a two-handed operation to open as the pivot is incredibly stiff, at least now. The micarta inlays allow for a nice grip, but I wish they filled up more space on the Ti scales as they do on the Sebenza. All in all, this is one tough, beautiful knife and the insingo blade makes it very functional and unique.